'Cheddar Cheese' ﻿(Joseph Ghio, R. 2017) Sdlg. MP-168W. CA, 13" (33 cm), Midseason late bloom. Standards cheddar gold; style arms gold; Falls cheddar gold, violet-blue center, small dark purple forked signals. Sib to 'Garrapata'. 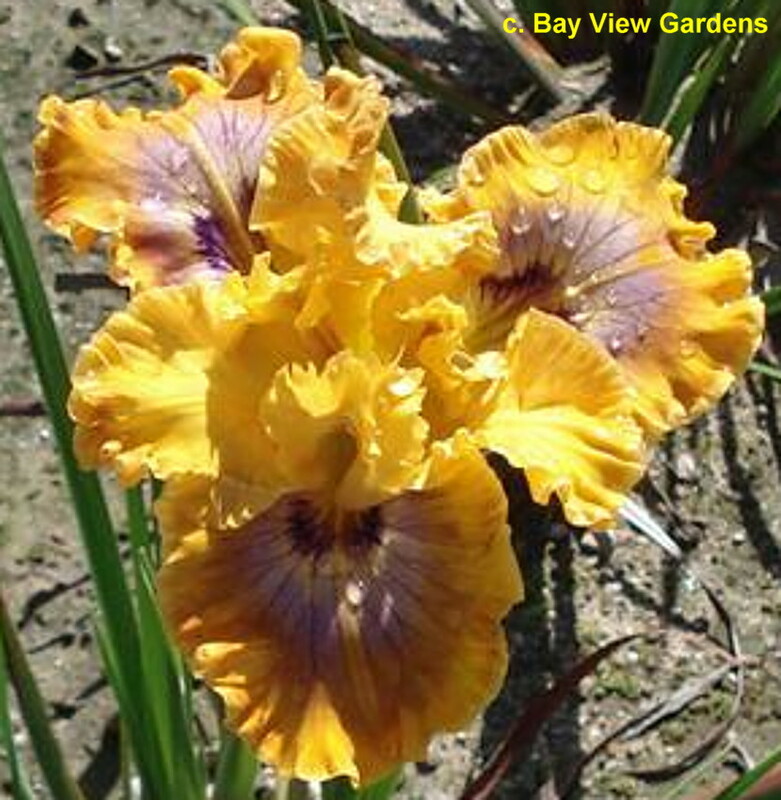 Interested in Pacific Coast Native iris? Please visit the: Society for Pacific Coast Native Iris website.